The Millennial Generation (individuals born between 1984 and 2000, also known as Generation Y) represents 25% of the world’s population and 80% of the workforce. This generation is known for shifting traditional paradigms of conventional business models, career paths, work styles and work environments, work-life balance, family models, definitions of success, and expectations of life. 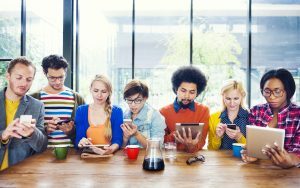 The Millennials are making life decisions that will impact their family enterprises––such as whether to enter the family business or launch an entrepreneurial startup; how to build a successful life and career; and how to be a good shareholder, a contributing family member, a respected leader, and a responsible global citizen. How family enterprises can understand and integrate Millennials, and harness their innovation and creativity, is at the heart of our study of the Millennial Generation in Business Families. While much research has been done on the Millennial generation globally, this is the first in-depth exploration of Millennials in business families and their Baby Boomer parents. Our study examines how members of the Millennial generation in business families think about their lives, careers, and family enterprise; and how their parents think about them. It explores how to integrate the Millennial generation into various roles in the family enterprise, and how to understand what motivates Millennials in today’s world. The findings of this study will be published in a white paper in 2019.